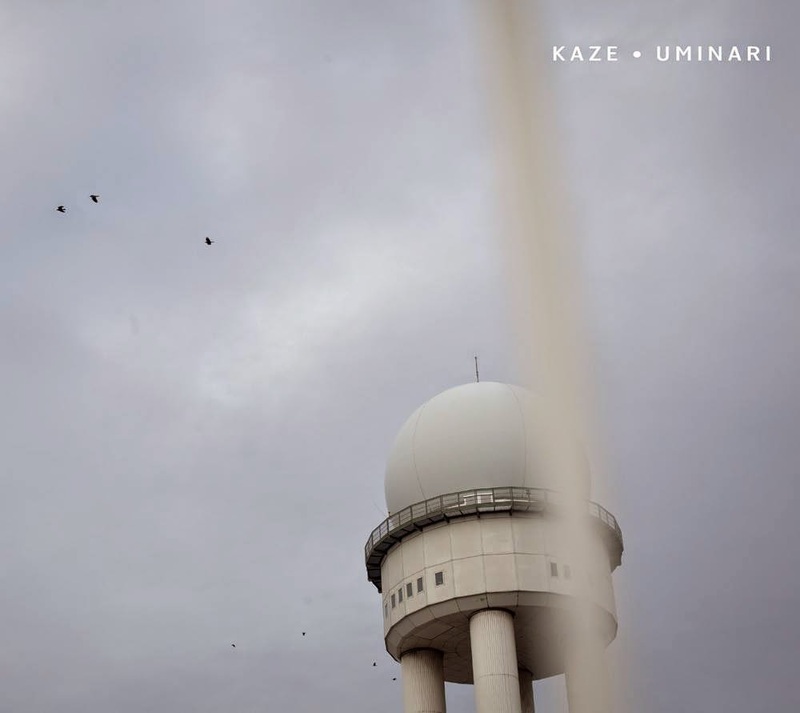 After "Rafale" (2011) and "Tornado" (2013), we now have the pleasure of listening to Kaze's third album, again with the same line-up of Satoko Fujii on piano, Natsuki Tamura and Christian Pruvost on trumpet, and Peter Orins on drums. Like with the other albums, nature is the inspiration for the music, now with the word "Uminari", which refers to the sound rising from the sea, a low-frequency roar that portends a coming storm or tsunami. Like with the other albums, the pieces are loosely structured around composed material, overall ideas of texture, density, sound and more open periods for collective improvisation or solos, but that does not mean that you can expect themes or patterns to repeat themselves and for the soloists to improvise on these themes, no, it's almost exactly the opposite : the music evolves before your ears and shifts and changes constantly into new space and sonic territories, some filled with wild mayhem, some with quiet contemplation, some with unison lines emerging out of chaos. If anything, whatever happens is totally unpredictable and unexpected, but always fascinating and intense, even in the most minimal moments, as in the long intro of "Inspiration", yet always working with deep contrasts between power and subtlety, with waves of sound washing over the listener alternated with a steady breeze of unusual extended techniques. As in the other albums, there is lots of 'plot development' in a story-telling fashion, with high levels of dramatic moments and catharsis, yet it never comes across as construed, and more as the result of the organic movement of the music itself. More details on the label's website and available from Instantjazz.